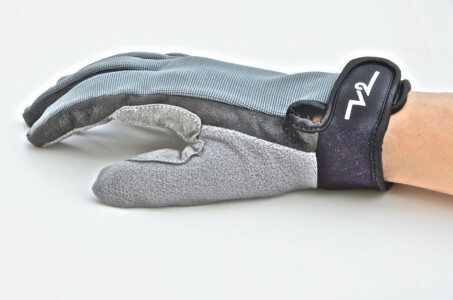 A durable, lightweight glove you will use for more than just roller skiing! This lightweight glove features a durable Clarino synthetic leather palm, adjustable neoprene cuff with velcro closure, a highly breathable 4-way stretch Spandex with UPF 50+ protection on the back of the hand and fingers, and a fleece thumb for wiping perspiration away. 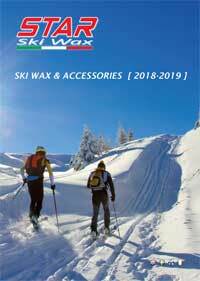 Ideal for roller skiing, spring or glacier skiing, ski hiking, mountain biking, etc. Sizes XXS – XL. The V2 roller ski gloves have become very popular, especially in Russia. In late September, 2014 Mister XC (Marty Hall) stopped by our small facility to say hello. As he was leaving he wanted two more pair of the roller ski gloves. He bought his first pair a couple of years ago and he said he uses them for work, golf and roller skiing and thinks they were are fantastic. Erik Johnson, who worked for Spyder several years, designed the gloves and everyone who has used them finds the gloves extremely good.